As I have traveled all across America, I visit with people who have various needs in life. Quite frankly, when someone shares a need with me, I find myself quickly responding with..."No sweat, God can handle it!" In truth - I have absolutely no problem trusting God... in someone else's life. My problem is when I have a need and I must trust God to come through when I'm at my point of desperation. Ever been there? I'm sure you have. One day, as I was reading Psalm 9:10 - like a bolt of lightning - I said, "That's it! That's the reason why so many of God's people (including myself) have so much trouble in really trusting God is because they really don't know Who this God really is." 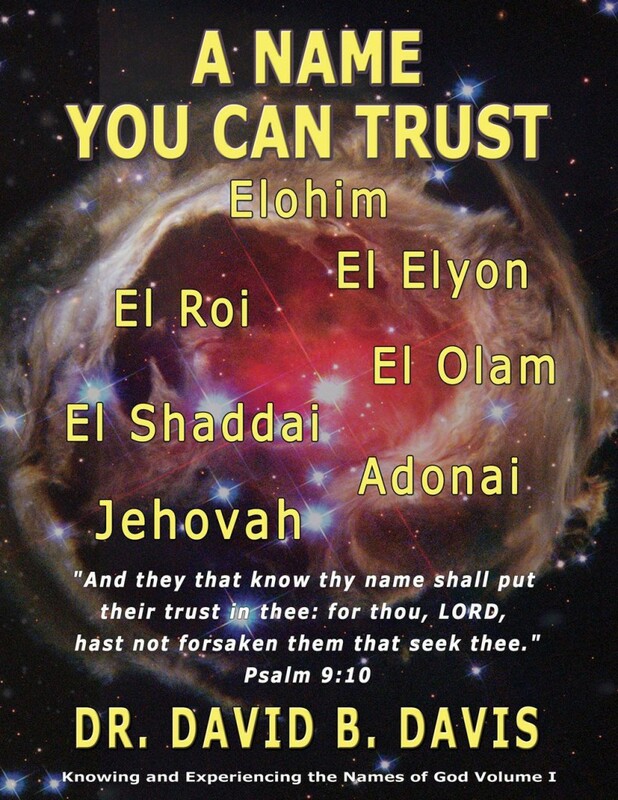 The Bible says in this verse, "And they that know thy name shall put their trust in thee: for thou, LORD, hast not forsaken them that seek thee." As I began to research the names of God...I began to see the ways that He has revealed Himself, not just as God, but by names that are very personal and practical for His children to experience victory in everyday living as they trust in Him. So what's in a name? When it relates to God... everything! It is my prayer that this book will introduce you to the nature and character of our God in heaven who loves us with an everlasting love. I believe that you will discover that He is not just God in heaven, but a very compassionate and caring heavenly Father who desires to meet every need that you will ever have if you will learn about the God in whom you trust. Believe me...it will make life a lot easier when you know the One who sits on the throne and controls the whole world ...including your world as well.